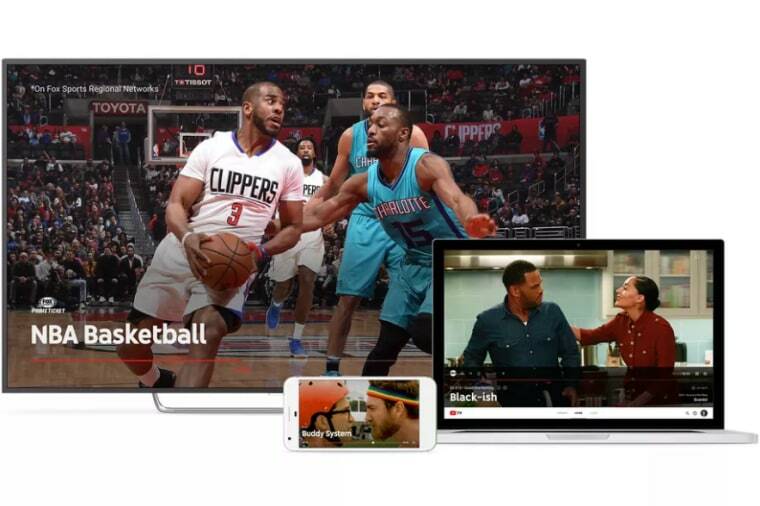 YouTube TV will offer live and on-demand streaming content to users through a $35 subscription. A day after announcing that users are now streaming a billion hours of video per day through their platform, YouTube has announced it will launch its own live and on-demand TV service, YouTube TV, CNBC reports. YouTube TV is expected to become available in the U.S. over the next few months, and will offer viewers access to 40 different networks and content from YouTube creators through a $35 monthly subscription. A single membership will also allow for six different accounts, all covered under the $35 fee. Users will be able to watch content from the service on any device—including their TVs via Chromecast—and can record an unlimited amount of programming. Among the networks offered initially will be all major broadcast channels, plus FX, ESPN, USA, Fox Sports and NBC Sports. Specialty programming, including Showtime and soccer packages will cost extra. As CNBC reports, the service will be joined by Hulu in the streaming, internet-TV space, who will offer a similar service featuring CBS, Fox, Disney, and ESPN, among other channels. You can get on the list to sign up for YouTube TV here.